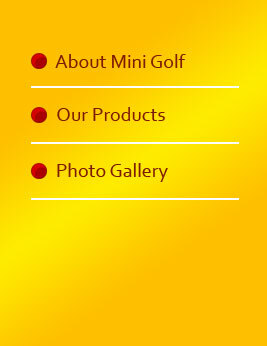 From the concept of "putt-ing" of golf, we have branded our product as "Putta Putt". With brilliant mixture of intelligence and addiction, we believe this product has ability to outclass other competitors. WE CAN ASSURE THAT BY INVESTMENT AMOUNT, PROSPECT OF PROFIT EARNING AND INVESTMENT RETURN IS VERY HIGH FOR THIS INDOOR GOLF GAME AS WE ARE SELLING HIGH QUALITY PRODUCT AT CONSIDERABLY AFFORDABLE PRICE. I like to share the profit earnings ratio comparability with amount spent for purchasing Indoor Golf Units. THE CALCULATIONS IS FOR SOMEONE WHO LIKES TO OPEN OWN GOLF GAME CENTER BY FRANCHISE / OR LIKE TO EARN BY SETTING UP ONE IN HOTEL OR RESIDENTIAL SPORTS ZONE. If daily just 20 people plays (THOUGH ON ACTUAL EARNING IS MUCH MORE AND HIGHER ON HOLIDAYS AND WEEKENDS AS BY OUR OWN EXPERIENCE), then daily earning will be Rs 2500 daily minimum (Rs 100*15=Rs 1500 + 200*5=Rs 1000), So monthly is 2500*30=Rs 75000. Salary of two employees = 9000*2= Rs 18000 and other miscellaneous expense max Rs 7000. So maximum expenditure comes Rs 25000. THUS MINIMUM NET PROFIT WILL BE RS 75000-RS 25000= RS 50000 per month. EVEN IF YOU TAKE SPACE RENTAL, DEDUCTING SPACE RENTAL OF RS 20000, YOUR MINIMUM EARNING WILL BE RS 30000 PER MONTH. BUT TAKING INTO CONSIDERATION GOOD BUSINESS OF SATURDAY, SUNDAY AND HOLIDAYS, ACTUALLY EARNING WILL BE MUCH MORE. Though it is almost certain of more business profitability and the investment will return sooner actually. We already have our own company owned fully operational Golf Center in Avani Riverside Mall at Howrah-Kolkata and we are eagerly expecting your involvement for opening franchise centers too. 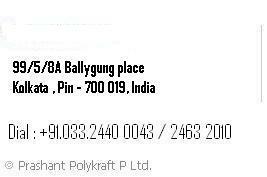 Area requirement is 410 sq ft carpet area for allotting 9 sets. WE ALSO MANUFACTURE STANDARD (9 FT LONG AND 2.5 FT WIDE) OUTDOOR MINI GOLF UNITS. FOR OUTDOOR YOU CAN CREATE YOUR OWN GOLF GARDEN AND WE WILL SUPPLY THE PLAYING UNITS. Please contact us at pppl.mktg3@gmail.com, we will getback to you soon.